Lightning Fence Droppers are manufactured in Australia by Hi Tensile Pty Ltd, using highest quality galvanised spring wire. 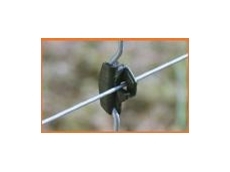 18/07/11 - Lightning Fence Droppers offers strong and smart fencing products including electric fencing, pre-cast concrete post fencing and prefabricated fencing. 15/07/11 - Hi Tensile presents Lightning Fence Droppers, Australian owned and made fence droppers that are easy to maintain and quick to install. 15/07/11 - Lightning Fence Droppers introduces their range of Lightning Insulated Fence Droppers and offsets to help ease the process of installing electric fences. 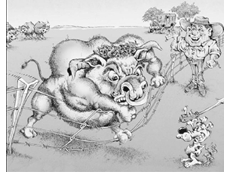 08/09/09 - The ever-increasing expenditure and environmental impacts associated with fencing has made it more important than ever to ensure that the most cost effective techniques and materials are utilised when building a fence. 07/08/08 - Lightning Fence Droppers provides fence droppers and offsets. These insulated offsets possess lightweight designs and can be operated easily. Insulated offsets from Lightning Fence Droppers are suitable even for temporary applications.